By Luis Bueno – RIVERSIDE, CA (Mar 27, 2019) US Soccer Players - When a new coach takes over a national team, the transition can be rough. It can take a lot of time for the new boss to get his ideas across to the players. The roster normally changes as stalwarts from previous campaigns make way. For Mexico, the transition into the Gerardo “Tata” Martino era took about one half of one game. In his first two games as El Tri coach, Martino showed his worth and gave a glimpse of what might be in store over the short and long term. Mexico handed a pair of solid South American foes convincing defeats as his tactics and system seemed to fall in place without much of an effort. It's a transition from an era of mixed results to one that promises much more. The fluidity in Mexico’s attack wasn't surprising given Martino’s past. Seeing it in action breathed life into a team that underwhelmed in Russia last summer. Of course, these results are in friendly matches with nothing on the line. It was an opportunity for Martino to show what he has in mind. Having it work so soon was an impressive first step. All signs point to this being one of the strongest World Cup cycles for Mexico in years. Martino has an advantage over most Mexico coaches. It's time. He's not under immense pressure to produce instant results to save Mexico from some woebegone qualifying campaign. It may have been even better for the national team to have Martino come in directly after the World Cup. As it stands, he looks worth the wait. 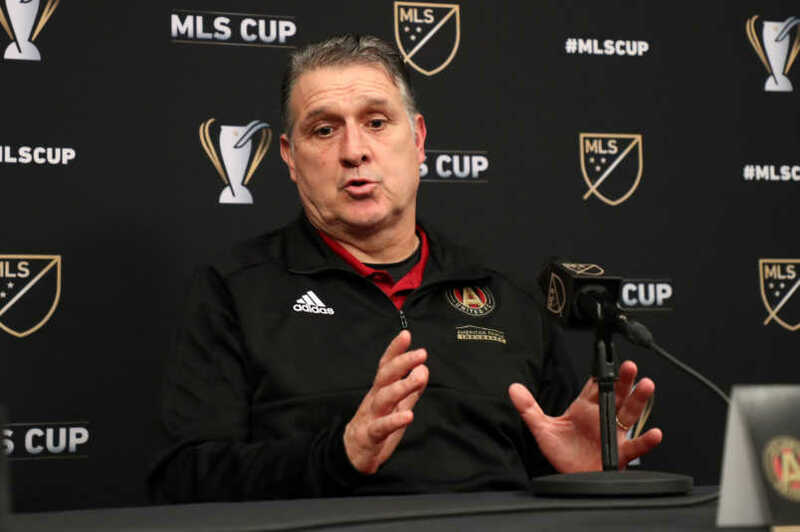 Without any pressing qualifying match looming, Martino has the time to properly scout potential Mexican national teamers and see the talent at his disposal. In his first pair of games with El Tri, Martino made it work. In both games, he fielded separate starting lineups save for midfielder Edson Alvarez. The way the team played though it was hard to distinguish the changes. Against Chile, Martino opted to give Raul Jimenez the task of filling the nets instead of going for the obvious choice of Javier “Chicharito” Hernandez. Jimenez paid him back with a goal and a standout performance. Mexico went scoreless for the first-half, perhaps worrying some who wanted more immediate results. El Tri responded by putting three goals past Chilean keeper Gabriel Arias. Guillermo Ochoa was one of Mexico’s strongest players as well and made several spectacular saves. At 33, Ochoa was El Tri’s elder statesmen of the evening with Andres Guardado (32) close behind. While El Tri did get younger with players like 22-year-old Carlos Rodriguez and 23-year-old Hirving Lozano, Martino will seemingly rely on Ochoa and Guardado to help carry the leadership role into the next several years. Mexico’s 3-1 win over Chile thus went down as a triumphant debut for Martino. Against Paraguay, Mexico looked sharp from the beginning. Paraguay contributed with an errant backpass that led directly to a goal and added an own-goal, all in the first 10 minutes of the game. Even with 10 new players on the field from the match prior, Mexico dominated and continued playing with the same quick-passing style that worked well against Chile. The only blemish for El Tri was playing through a second-half marred by a red card from Miguel Almiron that led to some heated moments. Paraguay got into the game, cutting Mexico’s 3-0 halftime lead to 3-2 before a late goal by Luis Montes made the final score a 4-2 win for El Tri. Martino will have only two more games to generate some feel-good vibes before the newness wears off El Tri and results will matter. The ultimate goal is the World Cup, sure, but success at the Gold Cup is imperative. With FIFA getting rid of the Confederations Cup, the Gold Cup is the big target now. El Tri has not had a standout record in recent Gold Cups either. Mexico won the 2015 edition but lost to Panama in the 2013 semifinals and to Jamaica in the 2017 semifinals. The tournament will be a chance to see how Martino manages the roster, deals with results, and makes adjustments accordingly to get the team performing at a higher level with each passing game. Mexico experienced the opposite last summer. They dazzled in a 1-0 win over Germany in the World Cup opener, mostly handled South Korea in a 2-1 win. They fell apart against Sweden 3-0 and bowing out quietly with a 2-0 loss to Brazil. Martino has thus far given hope that better results are possible. The Gold Cup will either push those hopes further along or raise doubts regarding Mexico’s World Cup future. Martino’s roster included a solid mix of veterans and youngsters but left out at least one glaring omission, LAFC star Carlos Vela. Vela has had an outstanding start to the 2019 MLS season, with three goals and two assists as LAFC is 3-0-1. Perhaps being familiar with Vela is one reason to not bring him aboard. Martino conceivably knew of Vela’s ability while Martino spent the last two years with Atlanta and maybe that would be a reason to not bring him in. Knowing a player’s ability and seeing how he fits in with others is important as well, particularly with the amount of talent available and so few spots up for grabs. Also not on Martino’s initial roster was Philadelphia Union star Marco Fabian, who could still be of use for Mexico if given the opportunity. MLS did not go completely by the wayside. LA Galaxy midfielder Jonathan Dos Santos started and scored against Paraguay and had an overall solid showing in his opportunity.